Potatoes, enriched wheat flour, onions, corn, peas, carrots, sunflower oil, filtered water, green chili, garlic, sea salt, ethnic spices, citric acid. 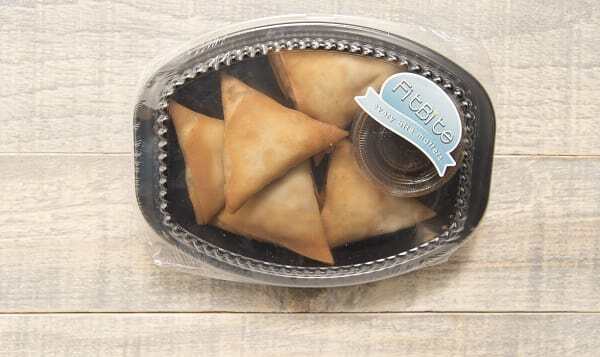 These samosas are fried in organic non-gmo mild oleic sunflower oil and filled with fresh spinach. To top it off, they also come with JTS' own chutney.